This listing includes companies selling growing supplies and materials helpful to operating a home greenhouse. Almost every seed or plant catalog and internet site carries a few supplies, but these catalogs specialize in a good selection of things you might need in a greenhouse. A Gardener’s Resource, greenhouseupplies.com, A listing of suppliers for each state. Aarons Creek Farms, www.acfplugs.com, 380 Greenhouse Drive, Buffalo Jct., VA 24529, 1-800-487-8502, Sells hobby greenhouses and strawberry plants for greenhouse production. Alternative Garden Supply. Inc., www.alternativegarden.com, P.O. Box 662, Cary IL 1-800-444-2837, Carries hydroponic and lighting supplies, pest-controls and more. Arbico, www.arbico-organics.com, P.O. Box 4247 CRB, Tucson, AZ 85738. 1-800-827-2847, Known mostly for beneficial insects but also has a selection of fertilizers, pest traps, and sustainable agricultural supplies. 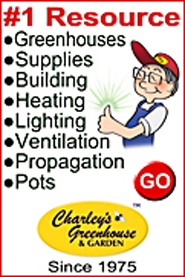 Charley’s Greenhouse Supplies, www.charleysgreenhouse.com ,17979 State Route 536, Mount Vernon, WA 98273, 1-800-322-4707, One of the most complete sources of greenhouse supplies and accessories. 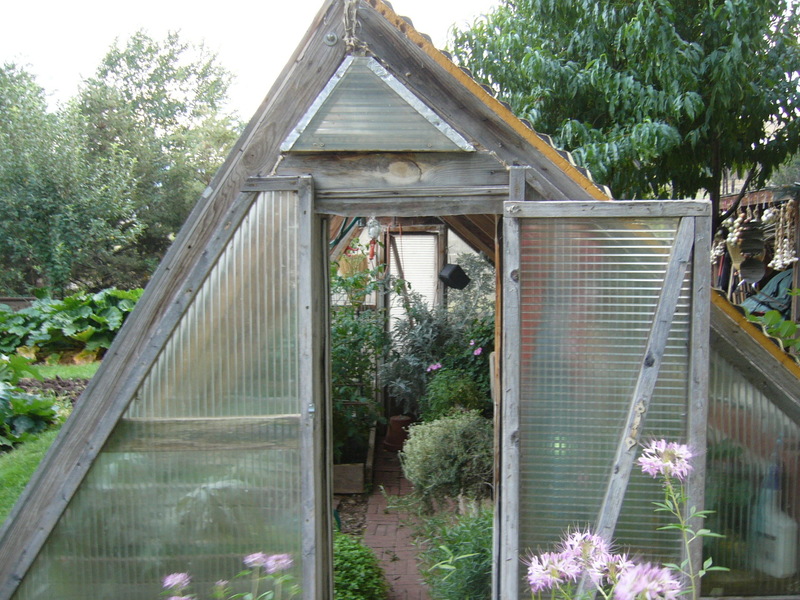 Large selection of quality greenhouses and other products specifically for the home greenhouse. Great informative catalog. Good folks! Co-Ex Corporation, www.co-excorp.com, 41 Hammer Mill Road, Rocky Hill CT 06067, 1-800-888-5364, Manufactures polycarbonate glazings. 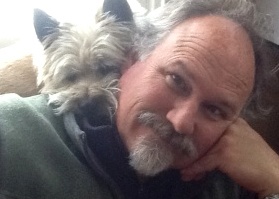 They are a wholesaler but they are informative and helpful when shopping for a glazing. Cool-off, http://www.cool-off.com, 800-504-MIST (6478), Carries a wide range of mist and fogging systems for cooling your greenhouse. Most systems are packaged for DIY easy assembly and operation. Corrugated Steel Garden Beds www.corrugatedgardenbeds.com 866-571-7782, This appears to me to be a great solution for building long lasting raised beds that don’t use treated lumber. CropKing, Inc., www.cropking.com, 5050 Greenwich Road, Seville, OH 44273 1-330-769-2002, Carries indoor hydroponic kits, greenhouses, lights, growing mediums, books and more for large and small growers. Dickson, www.dicksonweb.com, 930 S Westwood Avenue, Addison, IL 60101 800-323-2448, Manufacturer of temperature, humidity, carbon dioxide and pressure chart recorders, data loggers, and hand-held indicators. Dyna-Gro Corporation, www.dyna-gro.com, 1065 S. Broadway, San Pablo, CA 94806, 1-800-396-2476, Carries a number of general fertilizers, specialty fertilizers, and growth stimulants as well as hydroponic fertilizer and supplies. Also carries the Silicon fertilizer mentioned in Chapter 10 to reduce powdery mildew. Garden Under Glass, www.gardenunderglass.com, 40 Huron Rd., Bellerose, NY 11001, 1-516-775-0866, Sells high-end greenhouse kits and supplies. 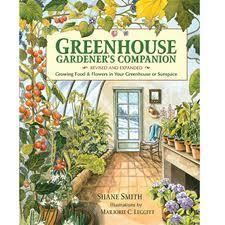 Garden.com, www.garden.com, Carries a wide variety of tools, fertilizer, books and other supplies along with seeds, plants and more. This is solely an Internet site and is mainly a re-seller of goods. Gardener’s Supply Company, www.gardeners.com, 128 Intervale Rd., Burlington, VT 05401-2850, 1-800-863-1700, Carries greenhouses, tools, growing supplies, and more. Gempler’s, www.gemplers.com, 100 Countryside Drive, P.O. Box 270, Belleville, WI 53508, 1-800-382-8473, Carries gardening tools, clothing, protective equipment, pest management supplies, and more. Growing Spaces, www.growingspaces.com, P.O. Box 5518, Pagosa Springs, CO 81147, 1-800-753-9333, These folks specialize in quality, solar heated dome greenhouses. They have varying sizes and prices from which to choose. I like this product! Harmony Farm Supply, www.harmonyfarm.com, P.O. Box 460, Graton CA 95444, 1-707-823-9125, Carries a wide variety of growing supplies and pest controls. Hobby Gardens, www.hobbygardens.com, P.O. Box 83, Grand Isle, Vermont 05458, 1-802-372-4041, Sells quonset-like larger greenhouse kits and supplies. Hoop House Sructures, www.hoophouse.com, 1358 Route 28, South Yarmouth, MA 02664, 1-800-760-5192, Sells hoophouse greenhouse kits and more. Hummerts Seed Co., www.hummert.com, 4510 Earth City Expressway, Earth City, MO 63045, 1-800-325-3055, Carries a wide variety of seeds, growing supplies and more. Has a wholesale division for larger growers and division for smaller, hobby greenhouse needs. Hydrofarm, www.hydrofarm.com, 755 Southpoint Blvd., Petaluma, CA 94954, 1-800-634-9990, Specializes in hydroponic supplies and equipment. Hydro-Gardens, Inc., www.hydro-gardens.com, P.O. Box 9707, Colorado Springs, CO 80932, 1-800-634-6362, Carries a complete collection of supplies for growing; specializes in hydroponic vegetable production and sells to commercial growers as well as hobbyists. Also carries seeds and pest-control supplies (including beneficial insects). International Greenhouse Company, www.igcusa.com, 19924 Aurora Ave N.- Suite 47, Seattle, WA 98133 1-888-281-9337, Carries a wide selection of larger greenhouses for more commercial or school applications. they also have hobby kits and a wide selection of greenhouse supplies. Janco Greenhouses, http://jancogreenhouses.com, 93990 Davis Avenue, Laurel, MD 200723, 1-800-323-6933, Sells quality, high-end greenhouse kits (hobby, institutional and commercial), also sell supplies, and more. Jaybird Manufacturing, Inc., www.jaybird-mfg.com, 2595-B Clyde Ave., State College, PA 18601, 1-814-235-1807, Carries a variety of foggers for creating humidity. North American Greenhouse Supplies, www.greenhousesolutions.com, #1, 1204 Edmonton Trail NE, Calgary, AB T2E 3K5, Canada, 1-800-567-2718, Sells hydroponic equipment and supplies and specializes in a number of measurement meters for ph, light, nutrient, etc. North Country Creative Structures, www.sunroomliving.com, Route 197, RD# 1 Box 1060B, Argyle, New York 12809, 1-800-833-2300, Sells high-end wood laminate greenhouses, and sunrooms. Also carry supplies and more. Northern Greenhouse Sales, www.northerngreenhouse.com, Box 42, Neche, ND 58265, 1-204-327-5540, These folks specialize in high quality woven polyethylene glazing for do-it-yourself hoop houses. They also carry greenhouse building supplies and more. Peaceful Valley Farm Supply, www.groworganic.com, P.O. Box 2209, Grass Valley, CA 95945, 1-888-784-1722, Sells a variety of fertilizers, gardening equipment, natural pest controls, seeds, and more. Planet Natural, www.planetnatural.com, 1612 Gold Ave., Bozeman, MT 59715, 1-800-289-6656, Carries a variety of gardening and natural based products. Also carry beneficial insects and natural insect controls. Manufactures polycarbonate glazings. They are a wholesaler but they are informative and helpful when shopping for a glazing. Quick Grow, www.quickgrow.com, (internet site only), 1-877-426-4769, Hydroponic-based gardening products, supplies and systems. Also hydroponics articles and information. Rittenhouse, www.rittenhouse.ca, RR # 3, 1402 Fourth Avenue, St. Catharines, Ontario Canada, L2R 6P9, 1-800-461-1041, “Servicing the agricultural, greenhouse lawn care etc industries for over 85 years with high quality products.” Also has on-line growing magazine. Solar Components Corp., www.solar-components.com, 121 Valley St., Manchester, NH 03103, 1-603-668-8186, Specialize in glazing, greenhouse kits, and environmental control systems for greenhouses and sunrooms. Also one of the few companies (if not the only) to carry fiberglass water containers (tubes) for thermal mass and aquaculture. Southern Burner Co., www.southernburner.com, P.O. Box 885, Chickasha OK 73023, 1-800-375-5001, These folks specialize in small vented greenhouse heaters that are powered by either natural or LP Gas. “No electricity required.” They are also available with setback thermostats for different day and night temperatures. Sturdi-built Greenhouses, www.sturdi-built.com 11304 SW Boones Ferry Rd., Portland OR 97219, 1-800-334-4115, Family owned, sells cedar and other greenhouse kits and supplies. Nice products. Sundance Supply, www.sundancesupply.com, Sells polycarbonate, trim components, and glazing systems for build-it-yourself greenhouses, sunrooms and solariums. Extensive how-to information on their web site. This is an Internet catalog only and often has great prices along with one of the best interactive sites for calculating your needs. Easy ordering!!! Buena Vista Sunrooms, www.sunroom.com, 8274 Quincy St., Ventura, CA 93004, 1-800-747-3324, Sells greenhouse kits and supplies. Worm’s Way, http://wormsway.com, 7850 North Highway 37, Bloomington IN 47404, 1-800-274-9676, Urban Farming Source Book™, carries, hydroponic supplies, lighting, books and other greenhouse and indoor gardening supplies.